You are here: Home / Diary / $101 Winner, another one. Got to love $101 winners in R3 then quit in front and work on the beer! Gerard. For some reason our South Australia subscribers were unable to get access to our website early on but it came in around 11.30 everywhere else and with several of our Members heading to the Balaklava Cup (our 3rd rated horse Temps Voleur won the race @ $22.30) quite a few reported winning on the 4yo mare Londberg after which most switched off and simply enjoyed the rest of the day with money in their pockets. We are hopeful we will get the Newcastle Cup winner on Friday and more particularly the Tibbie Stakes winner as we have a Gold Club runner in the Fillies and Mares Group 3. This morning we will post our weekend preview for Spring Package subscribers and apologies for the late start as I was a bit ill yesterday arvo and couldn’t concentrate but refreshed now and will get stuck into it. The Newcatsle Group races will be included. By the way, in that maiden race we also got the Quinella and Trifecta in the top five…who said maiden races were a trap? Well it was for the first starter favourite which ran nowhere at $1.30. 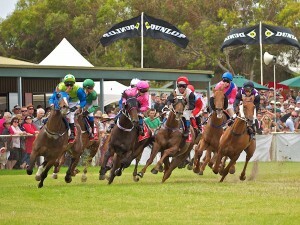 https://horseracingaustralia.info/newsite2015/wp-content/uploads/2015/07/logo-2015-100.jpg 0 0 Garry Robinson https://horseracingaustralia.info/newsite2015/wp-content/uploads/2015/07/logo-2015-100.jpg Garry Robinson2018-09-13 06:22:092018-09-13 06:22:22$101 Winner, another one.